Diprivan, or Propofol, is a short-acting sedative that is used primarily for the induction of general anesthesia and sedation in intensive care units. It is also used for minor procedures, such as dental work or a colonoscopy, that require monitored anesthesia care to keep the patient calm, pain-free and still. Diprivan is a powerful medication, but it has a very short half-life, meaning the drug wears off very quickly. Many sedatives linger in the body for hours or days, making Diprivan the primary drug used for short periods of sedation. Diprivan is packaged in a fat emulsion, giving it a thick, white, milk-like appearance. Diprivan is given through an IV. It may be given once, known as a bolus, to provide sedation that lasts 5 to 10 minutes, or it may be given as an IV drip for ongoing sedation. It can be used for short-term sedation, or for the sickest patients in the ICU it may be used for weeks at a time during the healing process. Diprivan is the drug of choice in many situations for sedation. The primary reason that Diprivan is used so extensively is the short period of time that it is effective. A single injection of Diprivan provides sedation for less than 10 minutes in most patients and takes effect very quickly. It can also be used for longer periods of sedation when needed. It is also effective at lowering intracranial pressure, or pressure building in the brain, which is a side effect of a traumatic brain injury or bleeding in the brain. 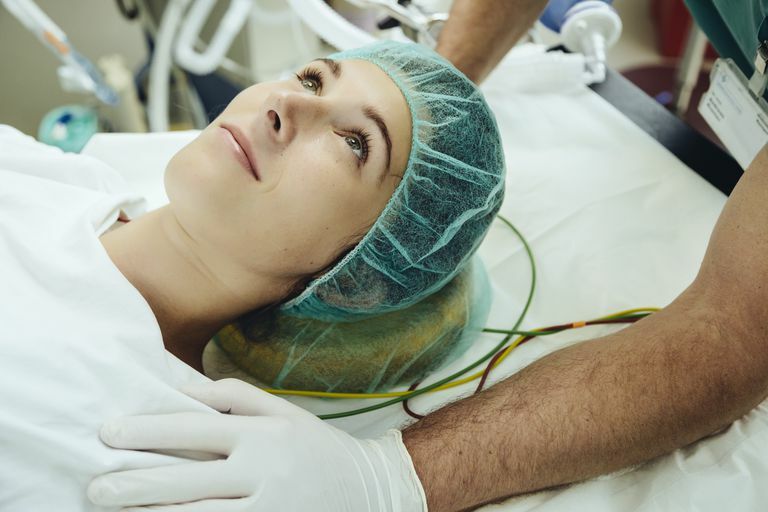 For patients with increasing intracranial pressure who require sedation, Diprivan is a natural choice as it can provide both the needed sedation and helps treat the increasing pressure. Diprivan is used for multiple purposes, including conscious sedation for outpatient procedures, the induction of anesthesia and sedation in the intensive care setting. Diprivan is unique in that it can be used for very short-term sedation or long-term sedation and wears off quickly. This is a major benefit of the medication as most sedatives cause sedation that lasts for hours. During surgery, Diprivan is given to sedate the patient during intubation, or the insertion of the breathing tube prior to general anesthesia. In an ICU, Diprivan is given to calm patients who are agitated or anxious, or to help the patient tolerate being on a ventilator without resisting the breaths the ventilator delivers. Diprivan is very short acting and wears off in less than 10 minutes for most patients. This gives the medical staff greater control over the level of sedation and also allows for the patient’s neurological status to be assessed without waiting an extended period of time for the drug to wear off. Diprivan should be used only in situations where close monitoring, including heart monitoring, is available. Diprivan should not be given to children who may have a respiratory tract infection, epiglottitis (a potentially life-threatening swelling of the epiglottis), or croup. Diprivan can lower blood pressure and heart rate and should be used with caution in patients with low hypotension or bradycardia. Diprivan should be used with caution in patients who have fat metabolizing disorders. Patients should not drive a car after receiving Diprivan, the next day is considered safe. Diprivan is an IV medication that is commonly used for sedation during procedures and in the ICU when patients are on a ventilator. This medication is highly effective and has the added benefit of wearing off quickly when the infusion into the IV is stopped. Despite the association with the death of singer Michael Jackson, this medication is very safe when used appropriately by trained healthcare staff. Appropriate use means that when this medication is used there will be continuous monitoring of vital signs and close observation by medical staff, which a standard level of care during procedures and during an ICU stay.